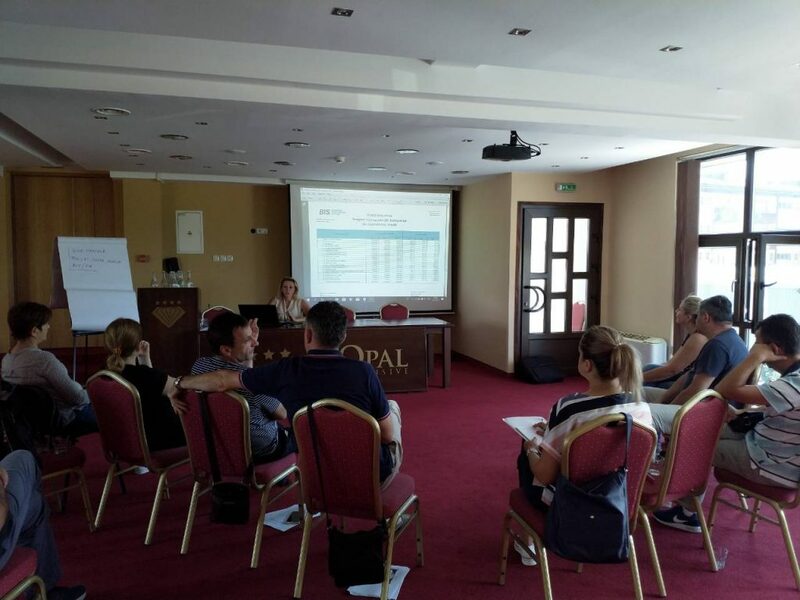 From 18th to 20th July, within project European Small Business Act as a framework of SME strategies and policies in BiH – SBA in BiH, fifth workshop regarding making of standardized methodology for SME strategic planning was held. With this workshop, elaboration of practical part of the methodology is finished. Approaches, key tools and methods that will be used in preparation of operational and implementational parts of new strategies concerning SME development, have been processed. Based on workshop inputs, draft of practical part of the methodology will be completed. Workshop was attended by representatives of ministries related to SME in B&H: Ministry of Industry, Energy and Mining of Republic of Srpska, Ministry of Development, Entrepreneurship and Crafts of Federation of B&H, Government of Brčko District and Ministry of Foreign Trade and Economic Relations of Bosnia and Herzegovina.